I'm a baking novice; it's something I really enjoy but barely seem to get right so when browsing recipes to try, the simpler the better. 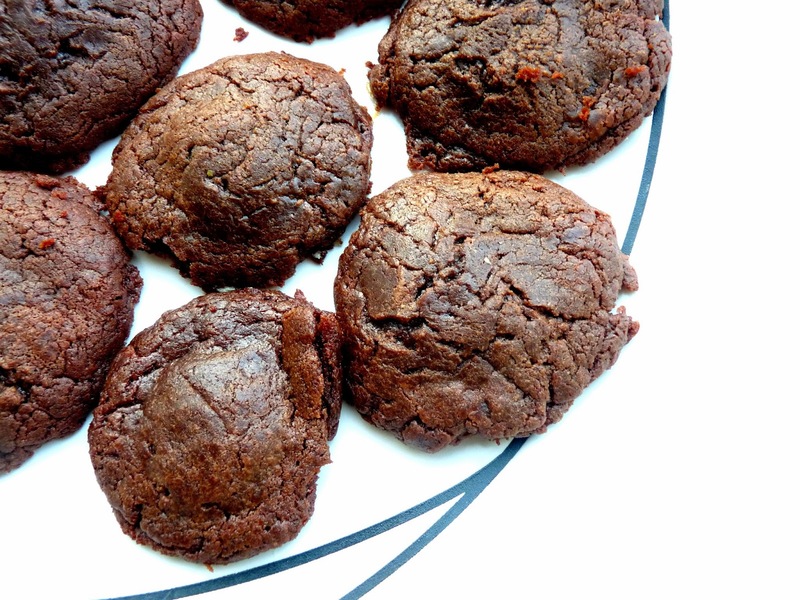 But easy to make recipes don't necessarily mean boring bakes and I recently stumbled across a delicious but oh so simple recipe on Pinterest to make Nutella filled chocolate cookies which I couldn't wait to try for myself. Luckily, I actually baked these with ease (don't laugh at me experienced bakers, I'm a newbie!) and I'm actually pretty proud of the outcome, well just pretty proud of the fact I baked something edible. It turned out these cookies were not only edible, but actually bloody amazing. The indulgent hazelnut a chocolate tastes are heaven for any sweet treat lover, so here's the recipe I used to make a batch of gooey centered Nutella cookies. Preheat your oven to 180 degrees and line two baking trays with baking paper. I didn't have baking paper in my flat, so an alternative is to use aluminium foil but be sure to grease it with butter to avoid sticking. 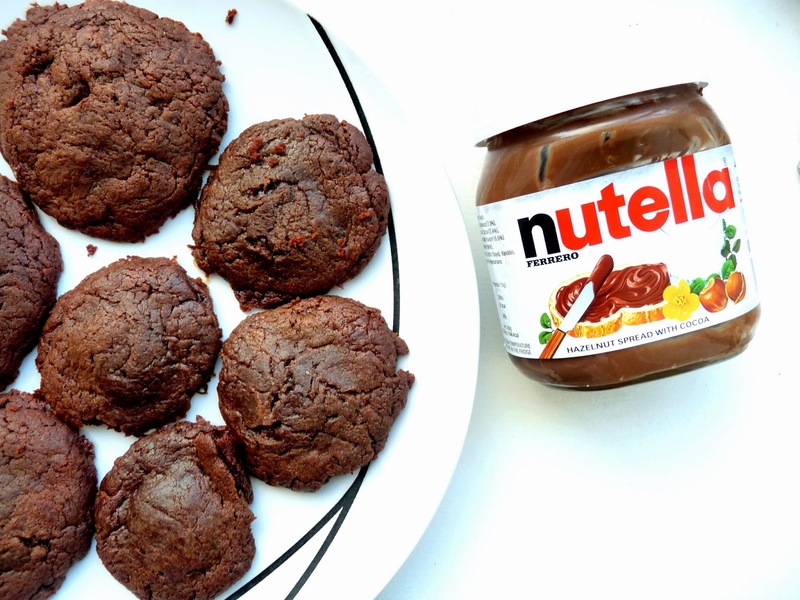 Stir together the cup of Nutella and egg in a mixing bowl until they are combined, then add the flour to the mixture. Continue to spoon together until all blended into a thick dough. Take a teaspoon full of the cookie dough and roll it into a ball. Then flatten it in the palm of your hands and put on the baking tray. Take a teaspoon of the cold Nutella and pop it on the cookie base then roll another teaspoon of cookie dough into a ball and flatten. 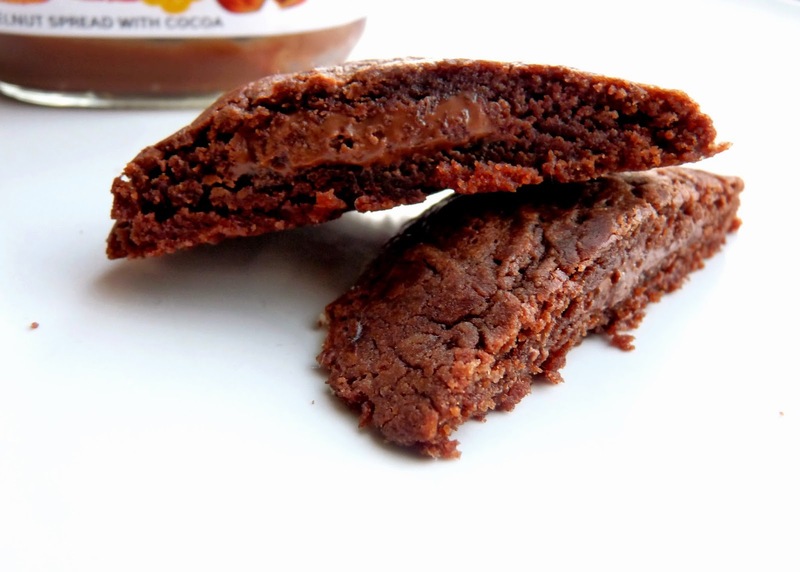 Place it over the Nutella and seal the cookie together. Repeat this until all the cookie dough is gone. Then bake in the oven for 6-8 minutes. Once removing from the oven, leave them on the side to cool and harden. And that's it! Your gorgeous cookies are ready to be chowed down on. This is a super easy recipe (as you can see) and I'd love for you all to take an hour out of your day to try it for yourself. Honestly, if I can do it, all of you can do it too! These sound so tasty and really quick to back, going to have to try them out!! For a baking novice these look SO good! These look absolutely amazing! Thank you for sharing! These look amazing! I can't believe there's only 3 ingredients needed. I might try these out for our Children in Need bake sale at work :)! Delicious! Bet these are epic warm from the oven when the Nutella is still gooey! Reading this made me hungry, they look gorgeous! I've favourited this post, I'm definitely going to have a go at these - Nutella is my absolute favourite! Even though they are one of the easiest things to make, I fail miserably at baking cookies. These look like something I could actually manage though - as well as looking delicious! I definitely need to try these! Nutella = mmmm. These look amazing! Definitely going to try this recipe out! Oh my god these look so delicious! I think i might need to make them right now! Btw I am in love with your blog design, so stunning!